Keep dry after every use. It is best to perform a patch test before use. 1. Please keep the soap always dry after every use as it would dissolve quickly when left standing in water. 2. 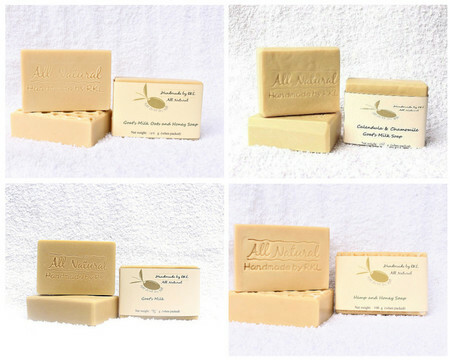 As I only use natural colorant for soap, soap color will fade in time but the soap is still ok to use. 3. It is best to keep products in a cool, dry, dark place. 1. We have tested the product before we put them on sale. 2. Ingredients that is mild to one person can be allergenic to another so please check the listed ingredients. It is best to do a patch test before you use any skin care products. 3. If ever you see some white powder on the surface of the soap, it is harmless and it can be easily rinsed off when you use the soap. For direct bank deposit, please email me to give you the account details.